Last year, two Manhattan condominiums sold for over $90 million and a Francis Bacon painting went for $142.4 million. Now comes the $38.1 million car. That’s the price of a 1962 Ferrari 250 GTO Berlinetta that sold this month at the Bonhams Quail Lodge auction in Carmel, Calif. The price was 28 percent higher than the previous record of $29.7 million, set by a Mercedes-Benz racecar last summer. Another Ferrari 250 GTO is believed to have sold for $52 million in a private transaction. While the Ferraris are rare — just 32 were built by hand between 1962 and 1964 — the price for the 250 GTO was hardly the only record during this month’s annual week of prominent car auctions on the Monterey Peninsula. The auctions are timed to coincide with the Pebble Beach Concours d’Elegance, where rare classic cars are positioned on the 18th fairway of the Pebble Beach Golf Links like fashion models on a runway. At the Bonhams Quail Lodge auction, nine Ferrari models set records, as did a Rolls-Royce once owned by Elvis Presley, and several Maseratis. Even a 1962 Austin Mini sold for a record $181,500. The week’s sales total hit $400 million, a 28 percent increase from a year ago. “Without exception, we’re seeing every segment of the market, and nearly every model, hitting new all-time highs,” McKeel Hagerty told me this week. Mr. Hagerty is chief executive of Hagerty Insurance, which specializes in insuring collectible cars and produces a price index that, to car collectors, is the equivalent of the Dow Jones industrial average. Hagerty’s Blue Chip Index of 25 classic cars rose 34.5 percent over the last year, far outpacing major stock and bond averages. “A lot of people are asking, ‘Is this the next great asset class?’ ” said Evan Beard, who leads Deloitte’s United States art and finance group. But when even a Mini sells for six figures, a lot of people are also asking if the car market is in the middle of a bubble. If so, it wouldn’t be the first time. The market soared in the late 1980s, especially for Ferraris and Jaguars, then crashed. In that regard, cars can be seen as the latest in a parade of assets whose values have soared since the Federal Reserve began its aggressive easy-money policy to combat the effects of the 2008 financial crisis. That means prices could drop, perhaps precipitously, when the Fed begins to tighten. It also had a coveted provenance, coming from the collection of Fabrizio Violati, the heir to an Italian mineral water and agriculture fortune, who bought the car in 1965 for about $4,000 and drove and maintained it until his death in 2010. 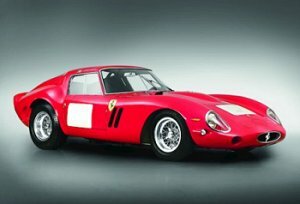 The fashion designer Ralph Lauren also owns a Ferrari 250 GTO Berlinetta, along with a major collection of classic cars, lending a celebrity imprimatur not just to that model, but also to the idea of cars as works of art. His collection is the subject of a lavish coffee table book, “Speed, Style, and Beauty,” and his cars were displayed at the Musée des Arts Décoratifs in Paris in 2011. While multimillion-dollar sales of Ferraris and other post-World War II European sports cars have grabbed headlines, most classic cars sell for relatively modest sums, and often for less than the cost of a new car. Even at this month’s high-end Quail Ridge sale, a 1985 Alfa Romeo Spyder Veloce convertible sold for $13,750, the least expensive lot. Cars that appeal to aging American baby boomers have also fared well, especially so-called muscle cars of the 1960s and 1970s, like the Ford Mustang (Ford is celebrating the Mustang’s 50th anniversary this year), Chevrolet Camaro and Plymouth Barracuda. Hagerty’s muscle car price index jumped 16 percent in the first four months of this year, the most for any four-month period. Curiously, there’s also been a recent surge of interest in the once-reviled 1960s-era Chevy Corvair, especially the convertible Monza models. Though Ralph Nader later denounced the car as unsafe, the innovative rear-engine Corvair was hailed at the time as “the sexiest-looking American car” by Car and Driver. “It’s a very friendly and accessible hobby,” Mr. Minoff of Bonhams said of car collecting. “You can get a very nice car for $15,000, or if you show up with a million dollars, you can spend that, too.” He owns a 1968 Porsche 911, and said Porsche 911s from the mid-1980s could sell for as little as $15,000.